Home→multiculturalism→Asian community caught in crossfire! Asian community caught in crossfire! It is sad to think that people will no longer be allowed to wear surgical masks on the Montreal subway, or on buses anywhere in Quebec. I did not realize that it had become such a major social problem. Nevertheless, it seems to me that banning them is a bit of an overreaction on the part of the Couillard government. Haha, the law of unintended consequences. The recently passed Quebec law banning face coverings is reflective of a significant part of the Quebec tribe that suffers from a degree of xenophobia which became evident as soon as the PQ was first elected and passed Bill 101. A few years ago the PQ tried to pass their “charter of Quebec values” which would prevent the government employee from wearing anything considered religious, which caused a big brouhaha in Quebec and across the country. Just when you thought the idea was relegated to the ash heap of history, along comes the Quebec Liberal Party with a law that instead bans the consumer of public services on the other side of the counter from covering their faces. There are obviously a number of different ways to skin a cat and achieve the objective. What is this obsession in Quebec with the denial of minority rights and wants when it comes to clothes and the things people put on their bodies? 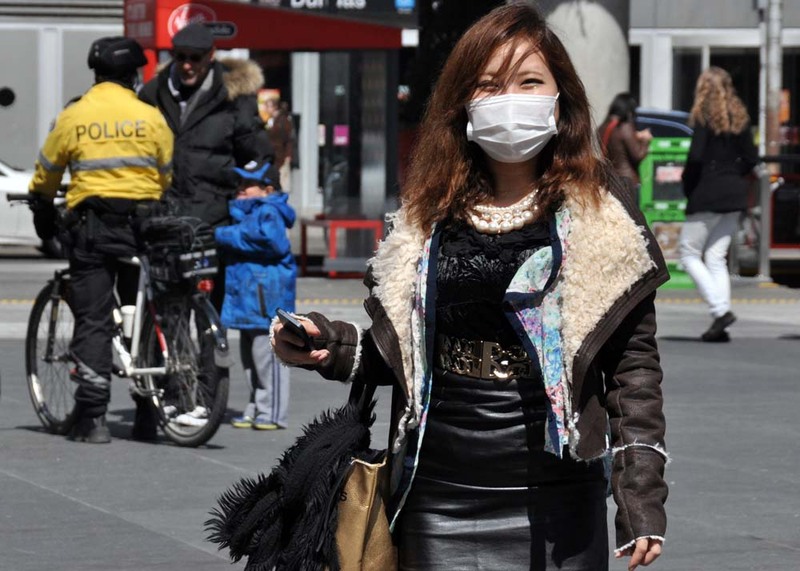 Regarding the Asians and their adoption of surgical masks, as they are used to excessive pollution, a lack of environmental protection, and dreadful air quality in urban centres, they may try to insist upon a medical exemption from the application of the law in their case (and of course claim that the mask is not religious, which is at the heart of the discriminatory nature of the law). What about full bushy beards and moustaches? What about hoodies? A proponent of the niqab ban may be able to exploit the following disanology between religious face coverings and surgical masks. While there is an agent neutral reason to cover one’s face in public when one is ill (namely, to prevent the spread of infectious disease) the reason one has for wearing a religious face covering is, presumably, merely agent relative. Now, suppose we are prepared to grant that wearing face coverings in public constitutes a pro tanto harm – either by reducing people’s perceived or actual security or by infringing norms of communicative reciprocity (I see your face; you see mine). Suppose as well that in order to justify this practice one would have to show that the harm it produces is offset by some public good. Call this the ‘offsetting requirement.’ Since the practice of wearing surgical masks produces an obvious public health good – a good from which we all benefit -it seems that this practice will be in a position to meet the offsetting requirement. However, it is not clear that the practice of wearing a religious face covering will be able to meet this requirement. Wouldn’t a religious face covering also inhibit the spread of infectious disease, as long as it covers nose and mouth? Good. If we assume it does — which seems to be a reasonable assumption — then this would weaken the disanology sketched above. In order for the argument to go through one would have to draw a further distinction between actions where the offsetting of a public harm is intended and those where such offsetting is merely an unintended ‘side effect’. Admittedly, in this form the argument is probably too weak to justify a legal distinction between these practices though it may be strong enough to ground a moral distinction. It’s inevitable over time. All masks will eventually be outlawed so that face recognition software is made as productive as possible. Even though face recognition software arguably could work even through the mask, why take the risk? The decision will be justified on cultural factors (stirred up fears against minority du jour/criminals), but that’s the underlying economic/power justification. Before face recognition software was invented, there was also this impulse to control, but it couldn’t cumulate and compound. Any advantage to those in control leaked away, while the inconvenience / disharmony was always plain to see.